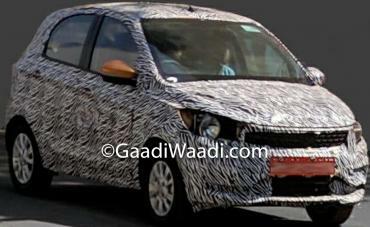 Images of the Tata Tiago facelift have surfaced online. The updated hatchback is expected to get styling tweaks and safety features like driver side airbag, ABS, rear parking sensors, seat belt reminder and high-speed warning as standard. The spy images suggest that the car might get a new front bumper with a redesigned air dam. The camouflaged test mule has circular dummy headlights and a rectangular grille. The car has ORVMs with integrated turn signals and silver alloy wheels. 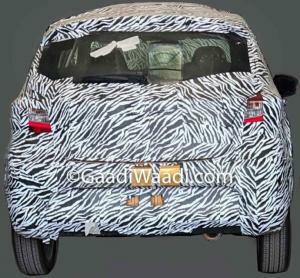 At the rear, the car may get new tail lamp clusters and a redesigned bumper. 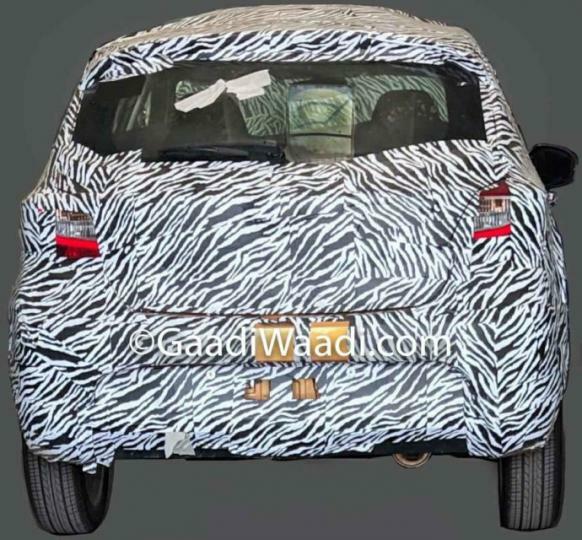 The updated Tiago is expected to get the same 1.2-litre, 3-cylinder petrol engine that makes 84 BHP @ 6,000 rpm and 114 Nm of torque @ 3,500 rpm and the 1.0-litre, 3-cylinder diesel that puts out 69 BHP @ 4,000 rpm and 140 Nm @ 1,800-3,000 rpm. Both engines are likely to come with a 5-speed manual transmission as standard, while the petrol could get a 5-speed AMT.